In 2000, Paul Harnett was living in Vancouver. On the day before a flight to the East Coast for a family reunion, his mother asked him to purchase her a shofar. He found one at Temple Sholom. He didn’t know it at the time, but that purchase would lead him on a journey of personal transformation, turning him – 14 years later – into one of the Lower Mainland’s main shofar producers. 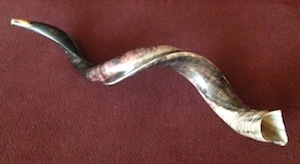 In 2009, an Orthodox Jewish friend from Montreal claimed Harnett’s shofars were not kosher due to the type of horn used. Concerned, Harnett wrote to Rabbi Eliezer Danzinger of chabad.org, who responded, citing Orach Chaim (586:1), that they are indeed kosher because his horns come from kosher animals. With renewed confidence, Harnett committed to producing the highest quality shofars that he could for his customers around the country. Harnett sources raw horns from Israel, England, Africa and the United States. Each horn has a unique sound and, if properly tuned, can be used as musical accompaniment. Composer Herman Berlinski, for example, and others have explored the dynamics of this ancient instrument. On two occasions, Harnett has blown the shofar for visiting dignitaries from the Knesset, once in order for them to honor and recognize the Tsawwassen First Nation. Among other events, he also accompanied a blowing of the shofar at a Holocaust memorial hosted by Beth El Synagogue in St. John’s, Nfld. As accessories, he makes custom stands out of granite for the shofar, while his wife makes shofar bags from chintz. Prices for Harnett’s shofars range from $50 to $500, depending on the quality of the horn itself and the time spent making the shofar; shofars can be shipped, upon request. 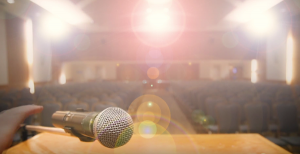 For more information, Harnett will soon have a new website, beharshofars.com.